It’s that time of year again. The Tour de France, where thousands of people become totally inspired to pick up the sport. But where do you start? Despite what many people believe, good cycling doesn’t come from hours on the bike or using expensive equipment. It comes from a good level of fitness that drives your endurance and strength to push for longer. These tips for beginner cyclists from Fitness Faster should help get you ready to pedal! Many cyclists believe that the only way to improve their ride time and/or distance is to spend more time on the bike. 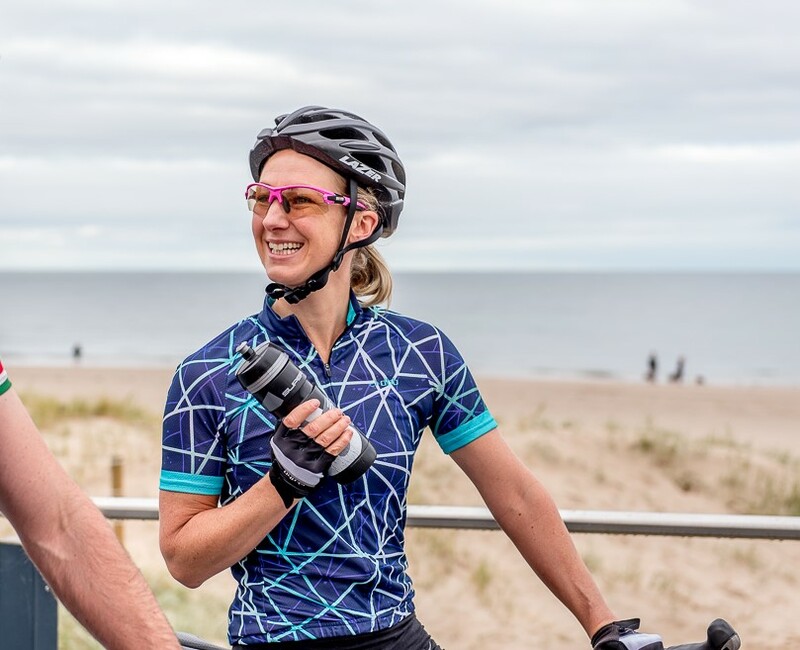 Although spending time on the bike is important, improving your body’s flexibility, muscle strength and core is where a beginner cyclist should start. Focusing on improving your posture will also help stabilise you, promoting a healthy form with less aches and pains. We’ve designed a program for cyclists that helps cyclists do just this. 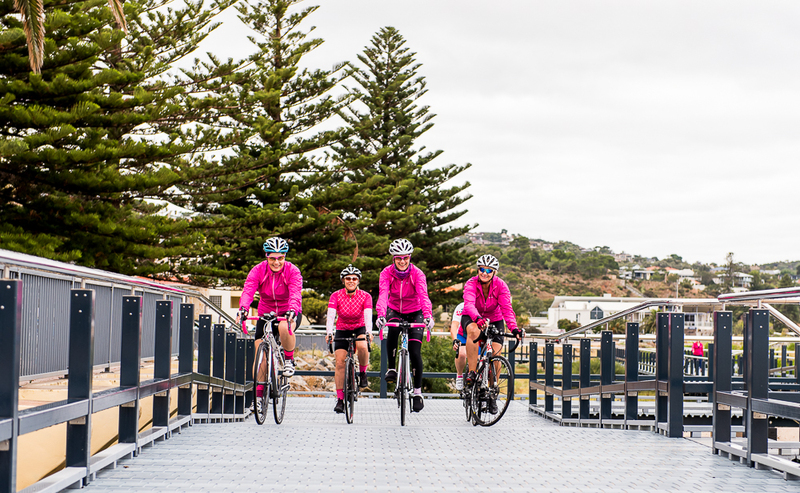 BIKEBLITZ is a four week program with targeted step-by-step home* and gym exercises that build strength and assist with flexibility to improve your overall cycling performance. The program has beginner, intermediate and advanced level options and is suitable for all levels of fitness. 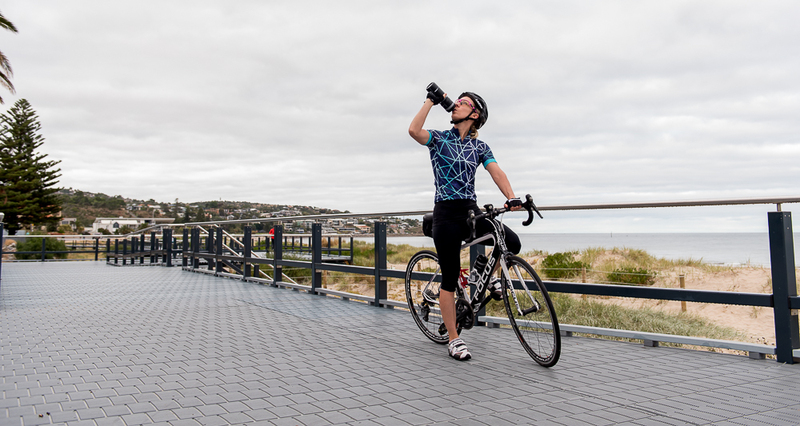 Australia saw more cycling road accidents in 2017 than ever before. Always wear a cycling helmet when riding. Pick the right size: To determine the right size helmet for your head, wrap a flexible tape measure around the largest part of your head (which is typically above your eyebrows) and note down the measurement. Choose a helmet that matches your measurement. Straps should form a Y shape: Straps should join under your ears and form a Y shape. Choose quality over price: In-mold helmets are more durable and have a shock absorption layer to protect your head. MIPS (Multi-directional Impact Protection System) helmets are also recommended as they move to reduce the force of impact. Be colourful: Pick a bright coloured helmet with reflective strips. Use gears to control your cadence when going up or down hills. Pedalling in a high gear for an extended period of time can strain your knees. Aim to maintain your cadence at 70 and 90 RPMs (revolutions per minute). A bike shop should be able to help you find the right size bike for your body. Optimal bike fitting will ensure your handle bars aren’t out of reach, the saddle is set at the right height and that you’re not struggling to comfortably reach the pedals. Slide your hands into different positions on the handle bar throughout your ride and wiggle in your seat every few minutes to avoid getting numb. Rule one of cycling is – know the rules. Pay attention to road signs and obey traffic laws. Keep a close eye on cars to ensure they aren’t about to cut you off (or you them.) Be on full alert and keep your head up to make sure you’re not approaching a hazardous object or bump in the road. My final tip: Enjoy the ride! Cycling is a great sport and method of keeping fit. It gets you out and about and socialising with friends or family who also like to cycle. Whether you’re just starting out or have been cycling for years BIKEBLITZ will help you get fitter, faster and stronger. Sign up to try our FREE BIKEBLITZ core program or message Nicki for any questions about the program. Do you have a demo programme to giveme an idea of the time required for the programme and what it entails?